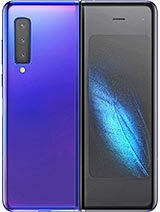 otogol moses, 24 Sep 2017The fact is this phone is 100% good but I have only one challenge how do i connect it to wi-fi... moreThe main reason may be that you have a Nokia 9300, not 9300i and the first doesn't have wifi. Does anyone here want this phone back? Back in those days this phone was way ahead in league and technology. Given this market where iphone and Samsung have touch screen, i think this phone will lead on a windows platform. I will buy this phone in us, unfortunatly phone is blocked by network it means i didn't use any other sim cards. if u know anything about this please help me. How can i order Nokia 9300i? hey anyone can tel me where i can get this phone in brisbane australia please? its so cool! thanks! pls Nokia bring back this phone with the latest operating system. i loved this phone in such a way that i didnt want to use another phone. i still have this phone but is too old. Total of 922 user reviews and opinions for Nokia 9300i.